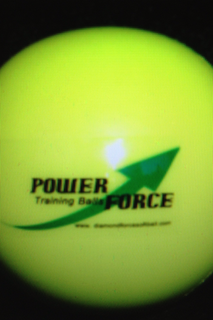 Power Force weighted baseballs and weighted softballs are specifically for teaching and training hitters to use their hands to drive the barrell of the bat through the ball and finish strong through contact. The limited flight capability of the ball allows hitters to take full swings without the need for a net or a team of shaggers. This makes them perfect for indoor use, and outdoor use in back yards, or those tight warm up areas at the ballfields. The ball mis-shapes as it flies through the air if contact is not centered, giving instant information to hitter about where contact was made.